VeriCite DocumentationUser GuidesBrightspace User Guide LTI Content Item Integration - Student ArticlesHow do I submit multiple files to a VeriCite LTI assignment as a student? 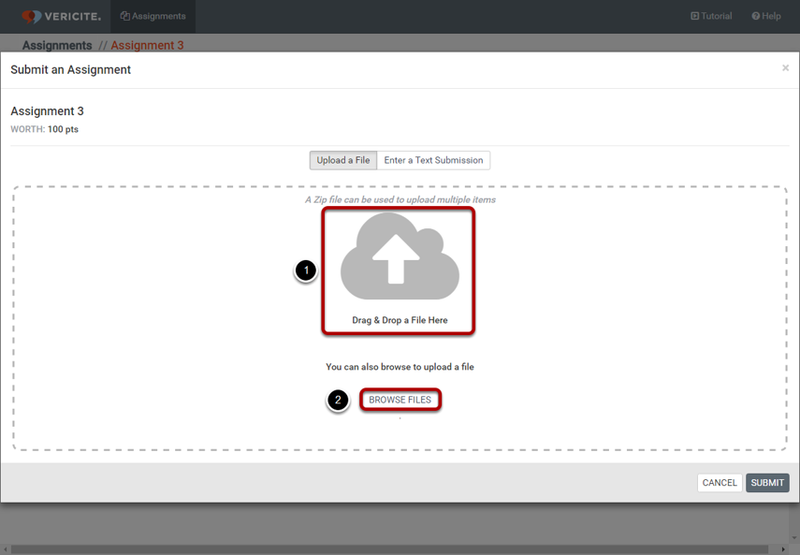 Students may upload a zip file to submit multiple files to a single assignment at one time. View and confirm the files to be submitted. Zoom: View and confirm the files to be submitted. After you select and upload your zip file, VeriCite will extract each of the individual files contained in the zip archive. (Optional) Edit Title of the submission. The default Title will be the filename, but this can be modified by clicking on the Edit icon and then changing the title. 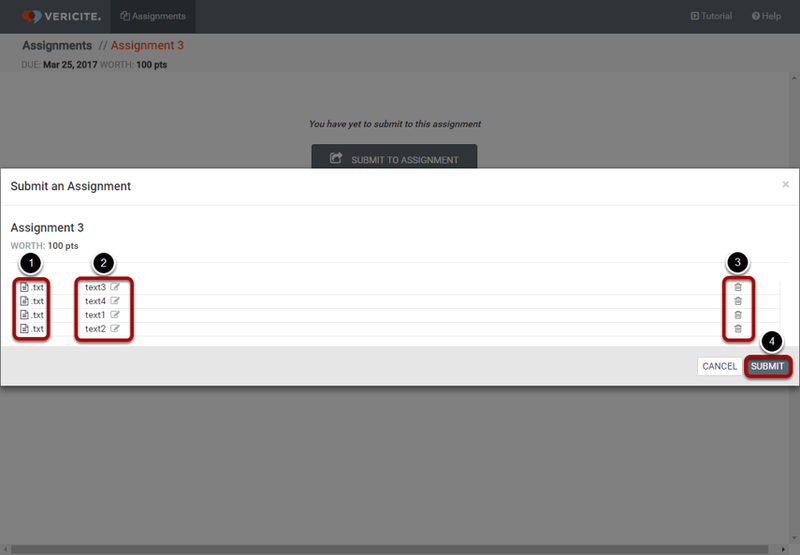 You may click on the Delete icon if there are any files in the list which you do not want to submit to this assignment. Click Submit to submit all the listed files at once. Note: You will not be able to review the text of each individual file prior to submission when you submit them as a batch. Once the papers have been submitted you will see them listed in the submissions for this assignment. A new VeriCite report will be generated for each file. If your instructor has allowed students to view their own reports, you may click on a submission to view the plagiarism report. Prev: How do I submit a VeriCite LTI assignment as a student?